It is known as a semi-essential amino acid which the body is able to produce in small amounts, it is the most abundant amino acid in the body and is significant in maintaining cellular health and tissue repair and in the recovery and healing process throughout the body.however, the majority of it must come from the diet. Many strength and endurance athletes choose to supplement their diet with this important, pure, free-form amino acid. 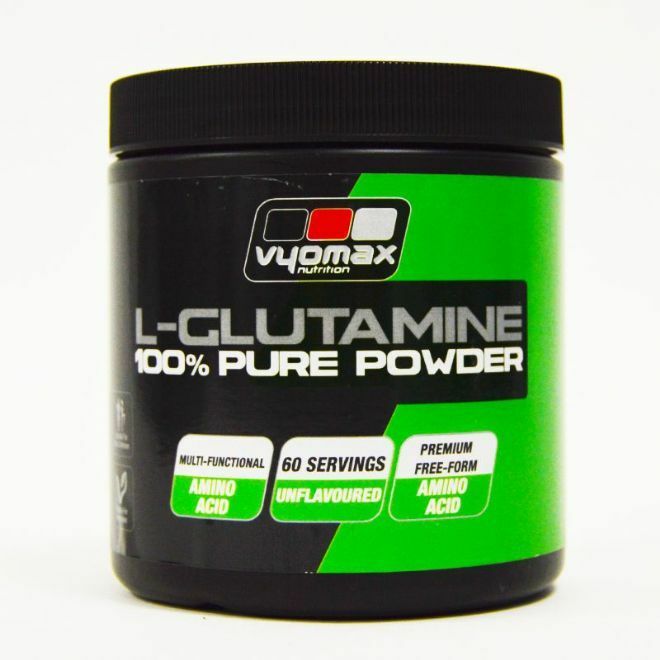 L-Glutamine has also been shown to play a significant part in the digestive process and when added to the diet it may reduce the symptoms associated with irritable bowel syndrome and other gastro-intestinal disorders. Directions for Use: Best taken on an empty stomach. General Use: Dissolve 5g (1 level teaspoon) in a small amount of water once a day. Training days, dissolve 5g (1 level teaspoon) in a small amount of water 30 minutes before a workout, 5g immediately after a workout and 5g before bedtime. Non-training days dissolve 5g (1 level teaspoon) in a small amount of water twice per day. Do not exceed the recommended daily dose. This product should not be used as a substitute for a balanced and varied diet. Store in a cool, dry place out of direct sunlight. Keep out of the reach of children.